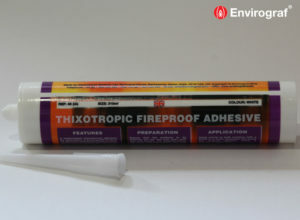 Firobond Ultra Adhesive is a fire retardant, high-performance laminating adhesive, specially developed for the bonding of mineral wool, inorganic board materials and wood-related products such as MDF. Produces a strong, durable bond, ideal for use in constructions which will require up to a 2-hour fire rating. Firobond Ultra Adhesive is thixotropic, which facilitates easy application, and it is designed to minimise absorption into porous substrates. Firobond Ultra Adhesive can be applied by an extrusion nozzle or bead head by a pump system for fast production rates. 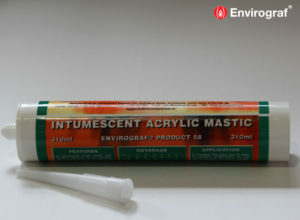 Available in a 310ml tube to fit a standard mastic gun, or containers of . kg, 1 kg 2. kg, 5 kg, and 20 kg. 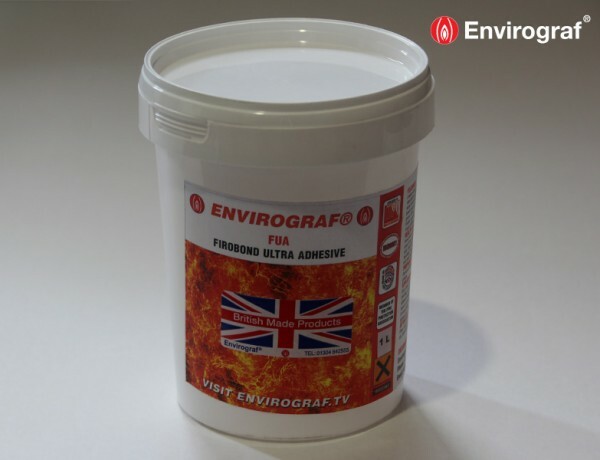 Firobond Ultra Adhesive should be applied to the board material at a coating rate of 100g/m. [10m./kg] to 250g/m. [4m./kg] depending on the porosity of the substrate. Mineral wool should be consolidated into the adhesive within 5 to 10 minutes. The panel should be constructed immediately and placed under pressure to consolidate the bond, thus ensuring pressure is applied evenly across the panel. 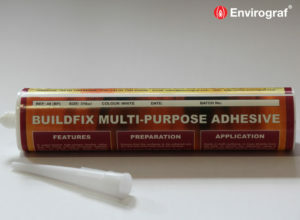 Can be applied to wood joints, used for applying Envirograf® intumescent paper, material, card, and veneers to wood, plywood etc. Also used to adhere veneers to MDF, plywood, etc, giving a fire-resistant bond.